Auto Transport Association is striving for trust! 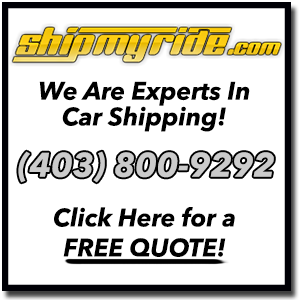 We are a community formed by vehicle shipping customers who like to express opinions. We not only rely on consumer experience but also on car shipping company research. We would like to see the car shipping industry be safe, fast and reliable. First thing first. Brokers are the middle man. They do not have their own trucks and are not liable for your vehcile. Car brokers hire external companies that take care of the process. These companies must be certified companies. They must take care of your vehicle with high shipping quality standards. We welcome your feedback and comments about your car shipping experience! We love to receive comments, suggestions and questions! You can also submit your own online review. Let us know the service you received. Receive free quotes from the best Canadian companies! Or Contact us today with any questions, suggestions or comments. We look forward to hearing from you! Our car moving customers community will really appreciate your contribution and opinion. With your feedback you’re helping us provide a accurate information to those that are looking for a reliable auto transport service.